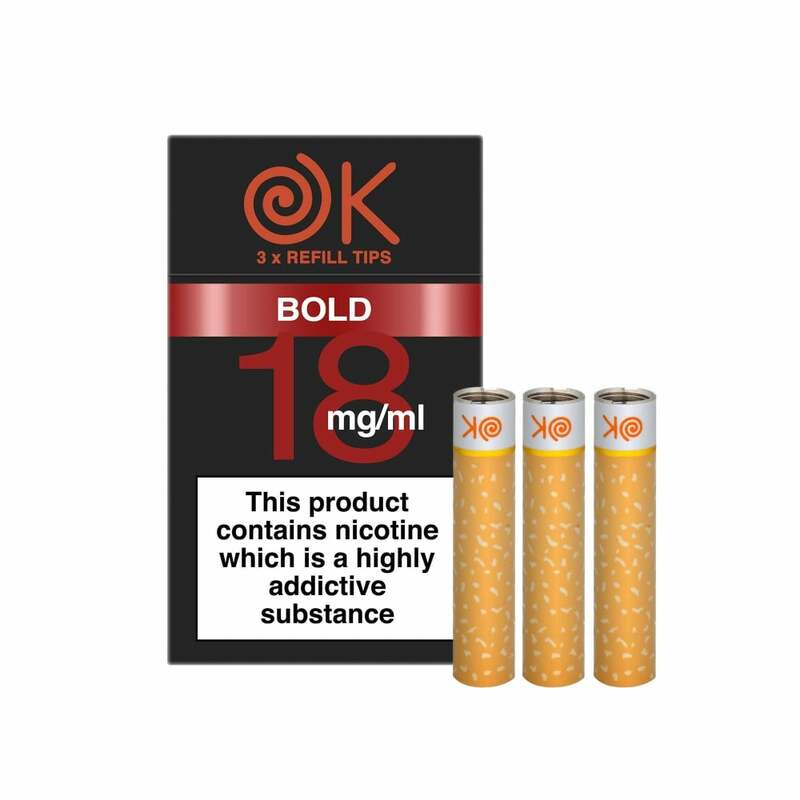 OK are known for one thing: producing high quality strong e-cigarettes. Arguably making their name like Gitanes did in the tobacco world by appealing to those who want the strongest flavours and the hardest hit on the throat. If it's strong you want, you want OK ecigs. Have used these for years. Great service at all times. Thank you. Well, I ordered these along with the kit (they were free of charge). I don't like the taste to be honest and I must say that I can't feel that these are high nic. Normally I hardly use any nicotine in the mods I normally use, so I thought I would feel some throat hit with these, but no. I've read in some reviews that they would be strong. Maybe I'm just damaged through the years of vaping. Easy to order. Good quality for money. I use them more than one year and I'm happy. It's really value for money and I don't want to change them with other product. I like a strong hit on the throat, and this product is the best I can find for achieving this. Smoke & price are very good. Very happy. Disappointed with this product. The cartridge flavour is satisfactory but the 'draw' on it is like drawing air, with no hit at the back of throat. I charged the battery to see if this was the problem but no there wasn't any improvement. I will not be purchasing this product again. I can however recommend the company for prompt delivery and good packaging.